Bag Separator - Converting Systems Inc. 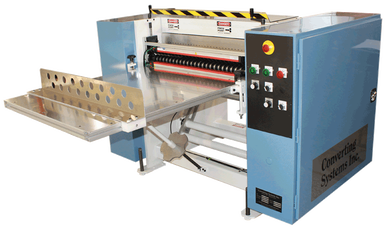 Converting Systems has expanded its line of downstream converting equipment to include our CSI Bag Separator. Designed with the operator and maintenance personnel in mind, we have made several key improvements to the technology used to separate bags. The CSI Separator series includes standard sizes from 30” to 100” in width.